Charming, charming, and more charming with tons of character! This is a special updated condo that is professionally decorated and boasts a lovely interior dÃ©cor. The 2-year old white kitchen is highlighted w/ granite countertops and new stainless steel appliances (March 2019). Enjoy the cozy & sweet den adjacent to the kitchen which can be used as an office, dinette, etc. A focal point of this home is the Great Room w/ cathedral ceilings and a corner brick fireplace. Steps away you have a private patio to relax & enjoy. 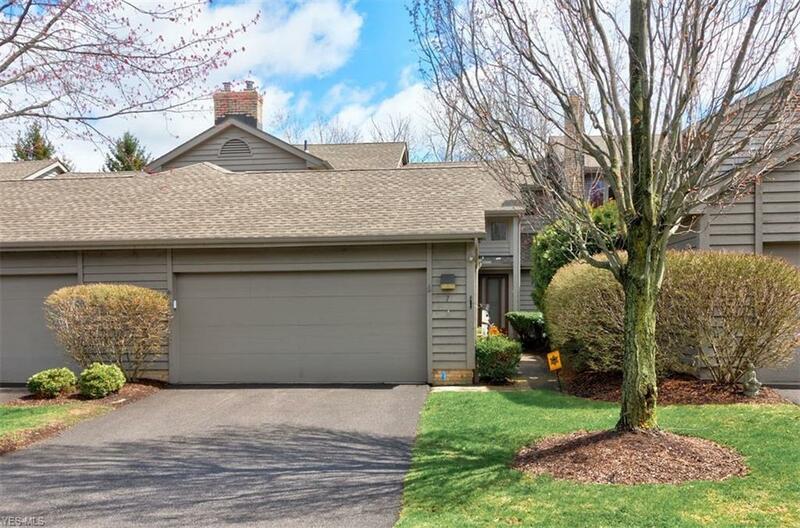 Master on first has double closets and a nice spa bath with a seamless shower door. Upstairs you will be impressed with the oversized loft, 2 bedrooms, great closet space, and a full bath. This home is ready for you just to unpack your bags and enjoy all the fantastic amenities living in The Village has to offer! Do not miss this!